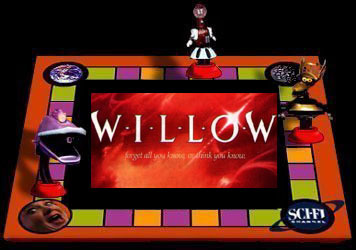 Willow is one of those films that reaches right out and grabs you by the crotch. It would go higher, but it couldn't. 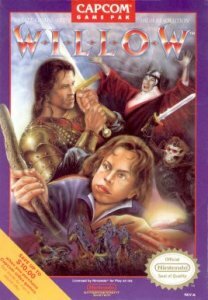 Warwick Davis is Willow, a smaller version of Captain Caveman that roams the countryside looking to become the David Copperfield of his kind. 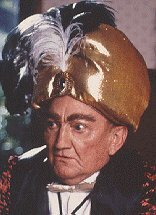 Billy Barty, the grand wizard, tells him that he isn't ready. So anyway, Wicket goes and finds Moses' sister drifting in the river and Billy Barty tells him to return it to the big people where she belongs. After getting together a band of impish warriors, they set off. They find Batman in a cage, who upon releasing takes over the campaign. They find some people even smaller then themselves called Brownies, who are obviously high. They also find this old chick that is currently in animal form. Finally they get to the big castle, and all the warriors are turned to pigs, while Willow does some bad stage magic and two old ladies fight. Also Skeltor is nowhere to be seen in this film. mgrasso> warthogs come running for the great taste of placenta! Bice> I'm planning on bringing my kid home in a wicker basket too. BEMaven> They should weed that title. Bice> She's gonna bump into Merlin carrying Arthur the other direction. Ironf> I wonder if Lucas talks of this much the same way as Howard the Duck? mgrasso> we got tolkien's lawyers on the phone. BEMaven> Ren Festival on a heavy gravity planet. mgrasso> billy "minor chord arrival music" barty. 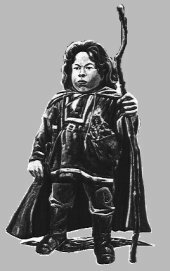 mgrasso> not at all the fellowship of the ring. not at all. Bice> That kid's goin' in the first dumpster he passes. BEMaven> Implied beastiality and cross-dressing. ron howard's film for the whole family. BEMaven> Those brownies couldn't be anymore annoying if they were mimes. Ironf> NOT Skeletor, I repeat, NOT SKELETOR. Ironf> Is peck just the general derogatory word, or just for the wee fellows? BEMaven> They arrived at Val's coke stash. Ironf> It's NOT an addiction. BACK OFF MAN! mgrasso> that baby is made out of the same stuff they make flight recorders out of. Bice> Kids come running for genital mutilation references. mgrasso> the baby is used in much the same way that place cards were used in silent movies. need to get to a new scene? just drop a tight closeup of the baby. BEMaven> Mother does that to all the men Sorcia brings home. Bice> Oh boy, naked elderly chicks. This movie's got EVERYTHING! Bice> Not being Catholic, this is what I imagine Mass must be like. BEMaven> David Warner doesn't know what he missed. BEMaven> funny how directors who inject digs against critics wind up making bombs. Ironf> Why is it raining indoors? BEMaven> All those candles set the sprinklers off. Bice> Grandma fist fight. That's just so....wrong. Ironf> I learned that we need to tighten up the screening process yet again. 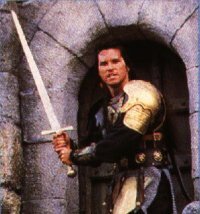 BEMaven> I learned Val Kilmer in anything but a towel is overdressing. Bice> I learned that no amount of special effects can save a movie. But the makers of ID4 and Godzilla apparently didn't. Ironf> I also learned that short people got, short people got, short people got no reason to live. THX-1138> I learned there was enough Hank the Angry Drunk Dwarf in the movie. BEMaven> I learned to loathe the word "brownies"
"Don't touch it. We don't know where it's been." "Give me some water, you peck!" "The last thing she's gonna want it a hairy chest." "It stinks, the whole thing stinks." "I've got experience in this sort of thing"
"I don't love her, she kicked me in the face." "It is pitch dark. 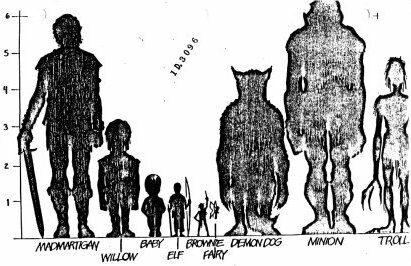 You are likely to be eaten by a grue." "It was just my old disappearing pig trick." Ironf rolled a 6, plus a +2 to hit.